We keep stock almost all Land Rover and Range Rover spare parts. You can type in search field part number and get price for Land Rover and Range Rover spare part immediately. If you don’t know the part number, find out about availability and price of spare part through a request form. 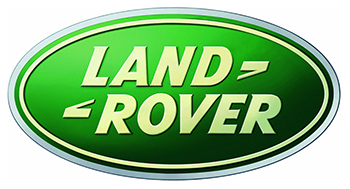 Original Land Rover and Range Rover spare parts are manufactured only by the developer. Only parts with Land Rover logo are considered original. Parts are equal to original, but do not have a logo, therefore are cheaper. Parts similar to original, but from a different manufacturer. Parts, that are not delivered from particular reasons. In the first group parts have the same manufacturer, hence the same quality. Often when placing an order for manufacturing parts is to be discussed, that manufacturer has the right to sell only to Land Rover and Range Rover spare parts, therefore to be able to have ability to freely trade with such parts, manufacturers are going for a cunning and pass manufacturing to subsidiaries with other names. Beside there are a few big English companies, supplying non-original Land Rover and Range Rover spare parts wholesale, such as Britpart, Eurospare, Allmakes and others. These companies place orders on different factories, where similar parts to original are being manufactured, afterwards being packed in package with a logo of based company. There are also parts that Land Rover does not sell for certain reasons. For example, original pneumosuspension bracket compressor piston (or consolidation of the piston) for Land Rover is not supplied separately, because of which is needed to change the whole compressor. But you can buy parts from one of English manufacturers. Neat details during choosing parts are not few and we are ready to answer your questions regarding parts daily.